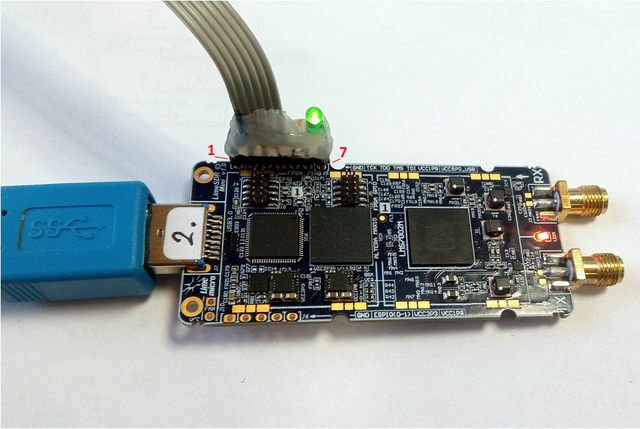 To connect Board Edge connector to Altera USB Blaster programmer you have to make a simple JTAG cable adapter. Adapter cable schematic is provided below. LED and a resistor are an optional components for power indication just for more convenience. Omit it if not necessary. 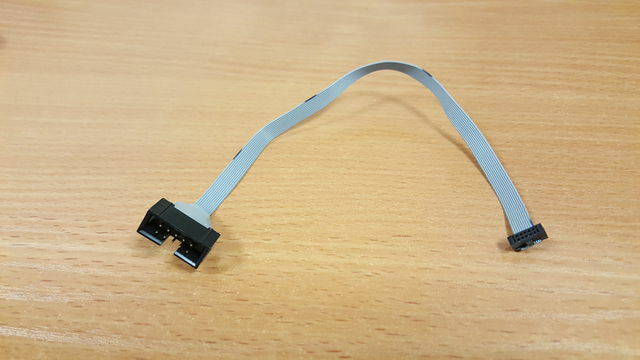 Check the pictures below of hand made adapter cable sample. 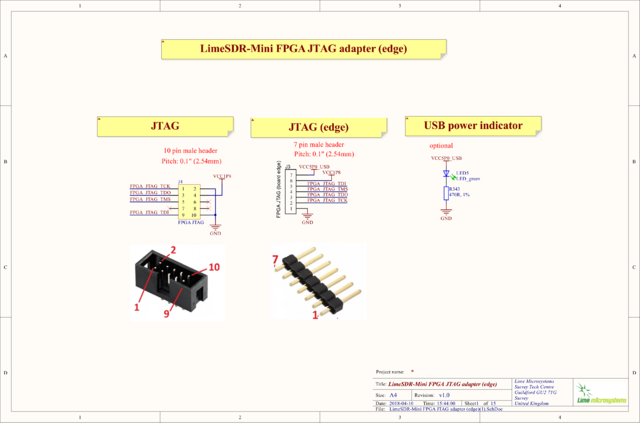 This connector has a standard FPGA JTAG pinout, but smaller pitch (0.05"). So, the cable adapter is just a pitch converter with the same pinout. 3. 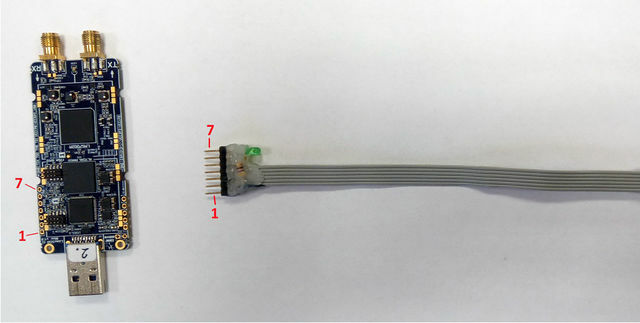 Flat Ribbon Cable (pitch: 0.025" (0.64mm)).